Just like any service or product out there, you will always get the good or bad things about each. 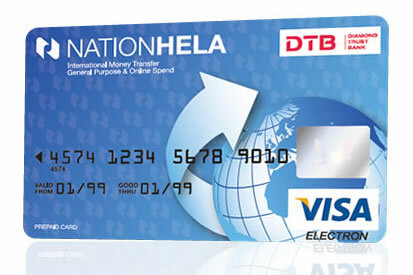 NationHela Card is one such product. Basically, the pros are the things the marketing department will agree with while the cons are those they will either deny or respond with a “we are looking into it” message. Here are the pros and cons of NationHela card. You can make payments virtually anywhere in the world as it’s a Visa Prepay card and Visa cards are accepted globally. So you can’t get stranded in a foreign country if you have one. And talking about getting stranded, you can always get money sent to you direct to the card either online from another card or via mobile money, thus making your options of being liquid better. Getting the card is easy, you will need an ID card and a phone number and you will be using your card within the hour. There are delays once in a while, actually a lot of the times when you load money from mobile money to your card and this means you cannot really use the card to make payments online when you have some urgency, unless the money is already in the card. The same applies when you are moving money from the card to mobile money. Unless the money is already in the card. Since some vendors could opt to either ask you to input your PIN or sign a document, there are chances that someone who has your card could make purchases on your card. Otherwise even with the cons, it still stands out as one card you would want to use when travelling if you either don’t prefer or can’t access bank credit cards. Remember it’s an international money transfer service first, then a prepay credit card second. The task of international money transfer is done quite well with efficiency as they promise.